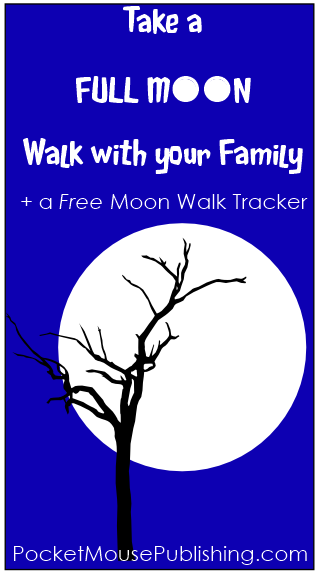 Take a Full Moon Walk with your family! Enjoy some fresh air and moonlight this month and every month. Download & hang this printable Full Moon Walk tracker near your calendar and never miss walking by the magical light of the full moon. Color in the moon each month you take a walk. Miss a month? No worries, the moon will be full again. If you want sweet full moon story to read to your little one, check out my review of Moon Child! I love this idea and the tracker is awesome! My 2-year-old is fascinated by the moon. She always makes us stop what we’re doing to “ook, ook” at the moon.